Cornucrescine Hoof Ointment is a well-known & effective product, that promotes growth & optimum condition of the hooves. It stimulates keratin producing cells, which is vital for healthy horn development. Improvement will be seen within 4-6 weeks. Cornucrescine Hoof Ointment should be massaged into your horse's coronet band & into any cracks or damaged hoof. 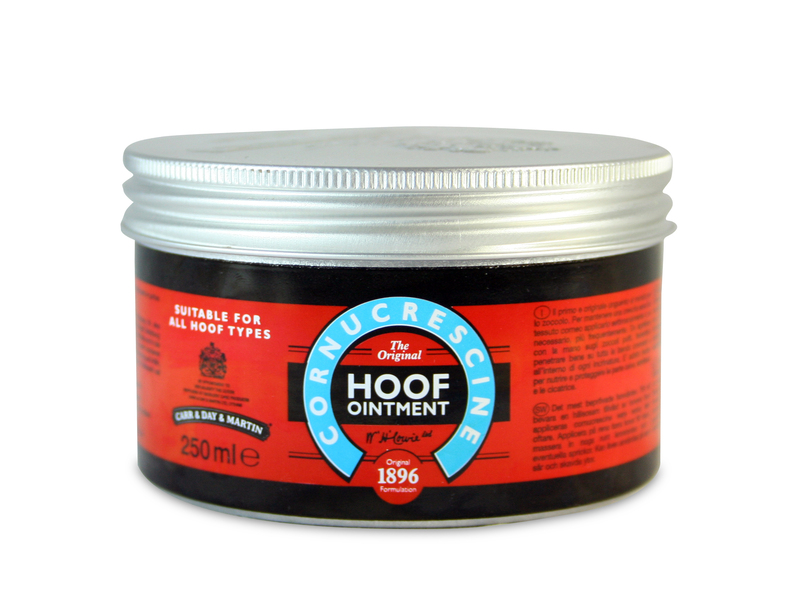 It can be used weekly to maintain healthy horn growth, or daily to increase horn growth & correct poor hoof quality.